NEW YORK – Alvarez & Marsal Property Investments (AMPI) announced its recent acquisition of The Carson Building in Portland, OR. The property consists of 6,500 square feet of prime retail space and 23,000 square feet of creative office space. 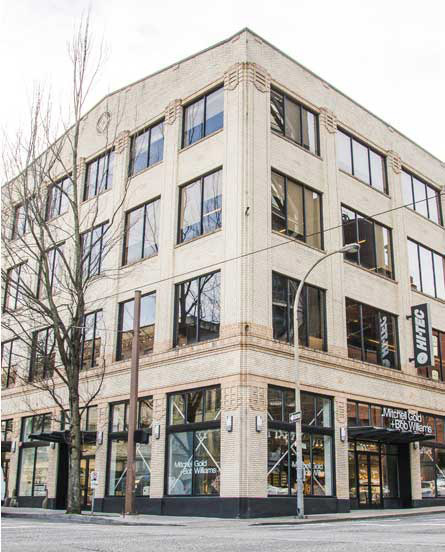 The Carson Building, located at 315 SW 11th Street, was acquired in an off-market transaction directly with its building owners. Built in 1920, the building was initially used as a car dealership and eventually repurposed into creative office spaces. Notable architectural features on this property include exposed wood beams and high ceilings offering a unique feel. The property is positioned in the Pearl district area of Portland formerly occupied by warehouses, light industry and railroad classification yards but now noted for its art galleries, upscale businesses and residences. The area has been undergoing significant urban renewal since the mid-1980s when it was reclassified as mixed use from industrial including the arrival of artists, the removal of a viaduct and construction of the Portland Streetcar. The neighborhood now mostly consists of high-rise condominiums and warehouse-to-loft conversions.